ezBeli Dropship Agent Program is simple and reliable. 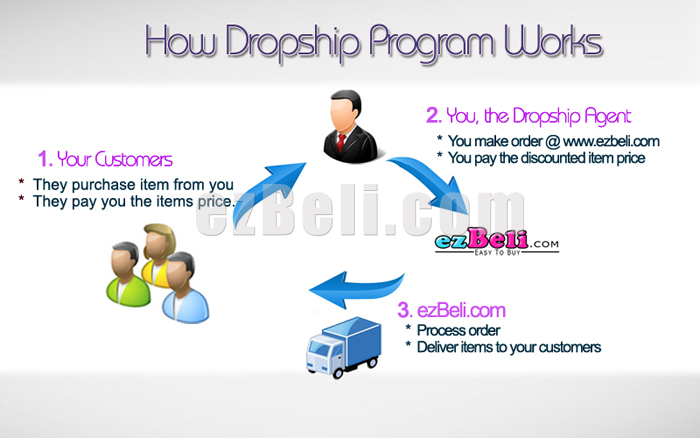 The picture below shows how ezBeli dropship agent program works. We are committed to provide you our support of ordering, quality control, shipping and after-sale service. We have everything you need to start your own costume business with competitive prices in the industry and outstanding customer services. and other cosplay related special requests items. PM us @ ezBeli Facebook to join our ezBeli Dropship Agent Program.